It had to happen. I didn’t know when, exactly, but there was no avoiding it. Too many Sewardites warned me, ‘this isn’t the real Alaska.’ I knew it couldn’t last, but hope lingered quietly in the back of my mind. That hope finally lost its stare-down with reality. July’s bright, almost incessant sunshine gave way to mist, low clouds, and rolling fog over the bay a week and a half ago. Those have since given way to full-on rain interspersed by gorgeous, damp, mosaics of water, cloud, forest, ice, and mountain. 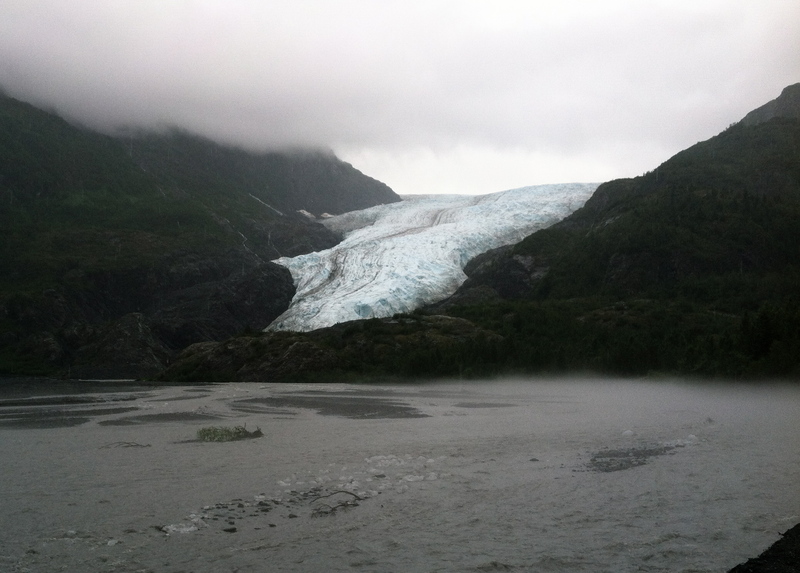 Constant rain is adding to the summer melt-water from Exit Glacier and the Harding Icefield to swell Exit Creek far past its ‘normal’ channels. The water now stretches across wide swathes of the outwash plain that were dry glacial drift only days or ago. Late-summer floods have reoccurred here for the past several years, with or without heavy rain; a lot of the water you see is direct glacial melt, but the rains certainly do their part to make it more dramatic. 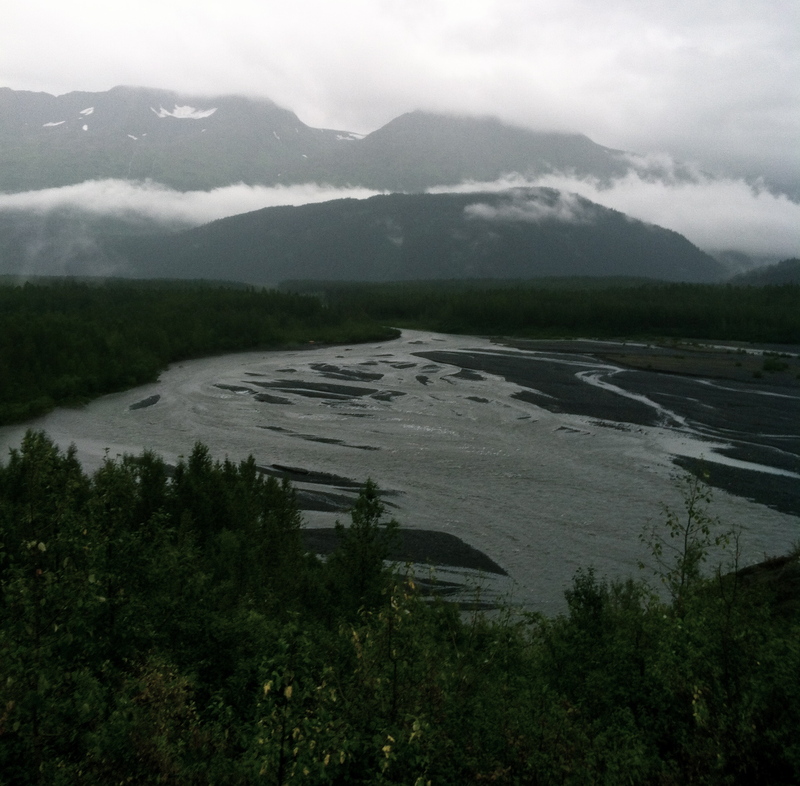 Water flowing across Exit Glacier’s outwash plain. Growing nights and falling temperatures reaffirm what the rain hinted: autumn is just around the corner (at least at 60.1˚N). So is the end of my time giving interpretive walks for the general public at Exit Glacier. As classes start up in the local schools in a few weeks, I’ll be switching to more school programs again. True to form, it’s a time of transition.